06 Katana 750.. Bar Ends? Does this look right? I'm new to the Kat so I haven't a clue what it should look like. 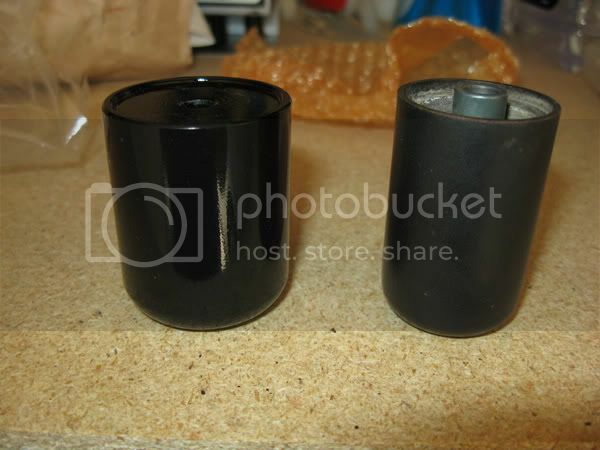 The one on the right came with the bike when I bought it, one on the left is OEM from Suzuki. 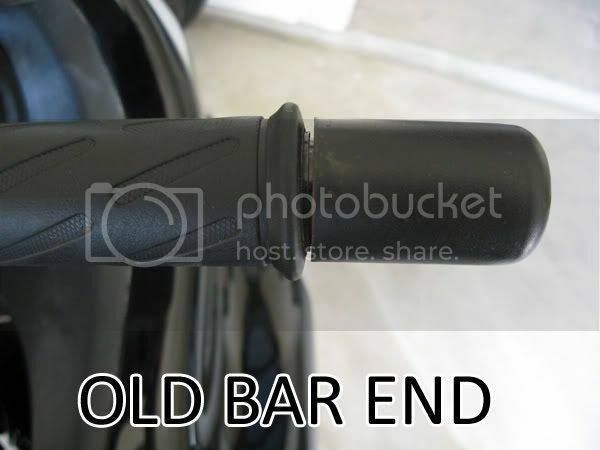 The old bar end would sit and just constantly spin around when the engine was running.. It's very light compared to the stock one. 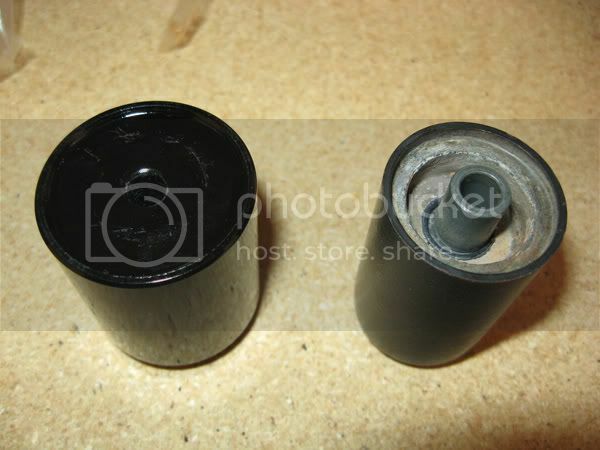 However I don't know if my end should look like this, should there be a massive gap? On the other side its flush. Perhaps because of the Throttle? Sorry if its a dumb question.. Just want to make sure this bike doesn't have some weird handle bar. The last picture could be normal, assuming your grip is slid inward compared to mine. 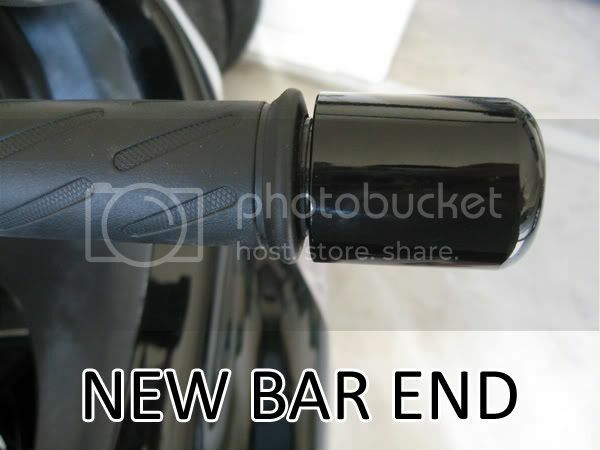 Your old bar end is not a stock 98+ bar end and in what I see in the pictures will not tighten up to the bar end. Just my 1 1/2 cents worth. 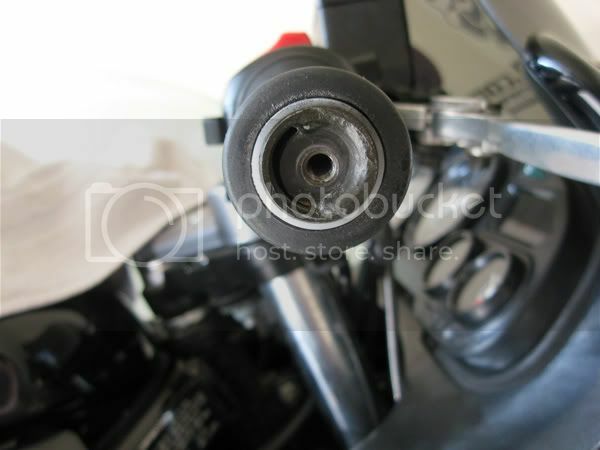 This is the Throttle Side. It really closes. When I first installed the grips, it would hang the throttle I had to adjusted and trim alittle. The new fits great.. It's snug, doesn't spin.. So new grips here I come LOL. Yeah It a good mod and one of the cheaper one's. Pro Grip is really good I like them alot.